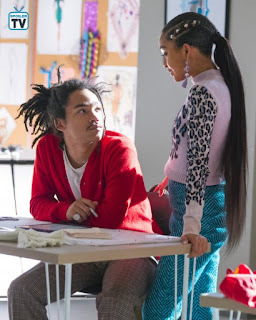 Grown-ish - Love Galore - Advance Preview: "I've Just Ruined My Life!" What would you do if the thing that didn't make you happy at first, was suddenly going to bring you joy and an opportunity impossible to miss? That's what Zoey struggles with in the upcoming episode of "Grown-ish". Luca is presented with a very exciting, possibly life-changing opportunity, when the Design Lab at CalU is about to receive a visit from none other than Michelle Obama. Yes, you read that right! Zoey, of course, is super upset about that, because she realizes that she could have met her hero, if she hadn't dropped out of the class. She is torn between that feeling and being proud of Luca and what this could mean for him. It is an very interesting episode, because it deals with a subject matter that's probably common to a lot of people: envy. It is hard to watch other people achieve something in life when you are not doing what you're passionate about. I know this feeling way too well; I wasted an opportunity some time ago and I regret it every single day. It would have brought some exciting things, for sure, but at the time, I thought that what I had decided to do was the right choice to make. That's what Zoey does, she thinks about the choice that she made and starts questioning it because something incredible is happening to someone else... her boyfriend, no less. Jazz and Sky, on the other hand, have to deal with their own jealousy. They feel frustated because a not very talented basketball player is receiving more attention that they are just because she is considered sexier. This whole situation sparks a discussion with Aaron and Vivek about double standards and the never-ending debate over body image vs. skills. Is it wrong to not like an athlete just because they are focusing their fame on image and how their body looks? It will be interesting to hear your comments about it, after the episode airs. Luca and Zoey's relationship gets tested in this episode, because Zoey tries to be 100% supportive (and manages to do so), whereas Luca falls under pressure (understanbly so, it's Michelle freakin' Obama!). Of course, as usual, in this preview, I won't spoil how everything turns out in the end. 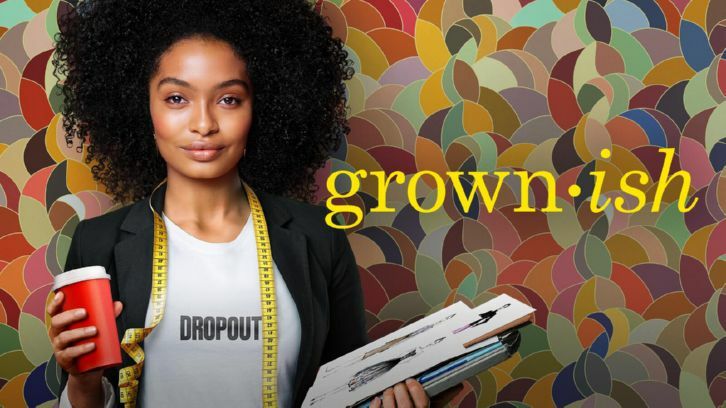 I just have to point out how, once again, "Grown-ish" keeps the story real and honest, without trying to put any judgement. I always appreciate that, every time I notice it. It is a great episode, one that dives into a topic that feels very close to my heart. 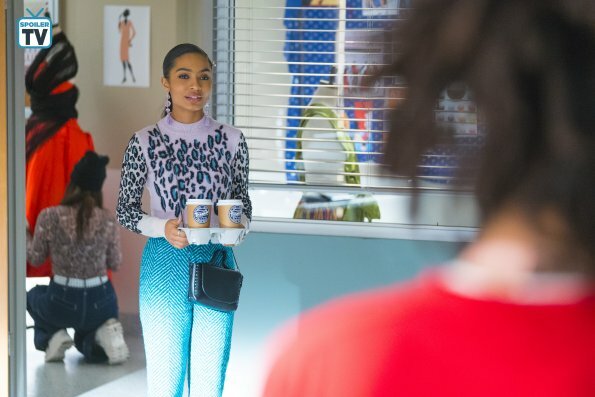 Yara Shahidi proves, again, to be the perfect leading lady that this show needs, with a cast around her that just knocks it out of the park each week. I can't wait to read your comments! Zoey: "Luca, you cannot quit. Come on, it's my thing! ".